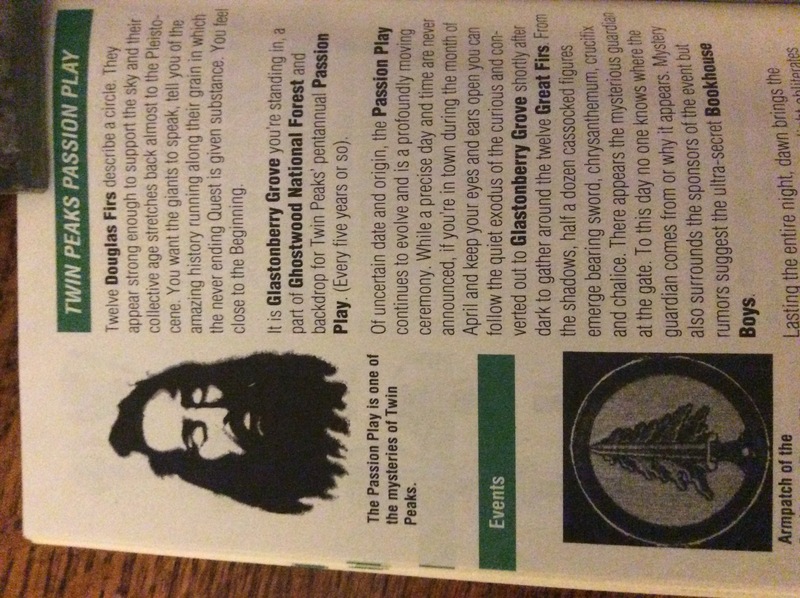 Welcome to Twin Peaks, the Access guide, contains some items that track very closely with what is in The Secret History. That notwithstanding, take a look at this (noting, for interst, that Glastonbury Grove is described as being made up of Douglas Firs. Notably, look at the picture. It is mentioned that Frost re- read the access guide before writing the secret history. Another interesting note is that the access guide mentions one of the towns radio stations is cast via satellite from New Mecico .